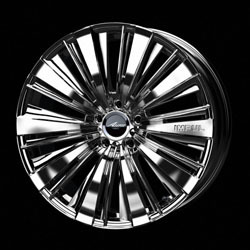 SX-30 for FUGA, SKYLINE CROSSOVER, MURANO, ELGRAND and other luxury Nissan models. This dynamic original design is made to the high quality of Japanese standards. 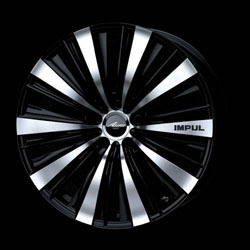 By adopting world-class technology, M.A.T Dura Flow Forming, it achieves high rigidity and lightweight for the flagship of IMPUL wheels. *Air valve with IMPUL logo is sold separately.